It’s been a long, loong, looooooong, three days but we have survived! Much to our delight, Drew was discharged from the hospital today. 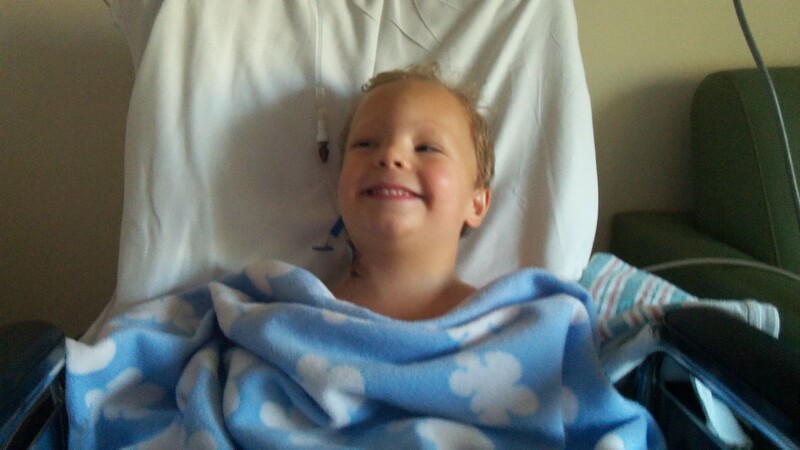 I’m sure most of it was due to Drew’s determination to get away from all of these doctors poking him, but the fact that the hospital seemed to be a little overwhelmed for pediatric beds probably played a small part! Drew was apprehensive about coming home at first much to our surprise. I figured he’d get up and run out the door the minute he heard “go home”, but I suppose the anxiety of anticipating us lifting him into a chair and removing all of the tape and wires was enough for him to think, “Screw that! Just leave me alone, I’ll stay here!” We did coax him into leaving, not that we would have stayed any longer than absolutely necessary. Both Nathan and I are exhausted, massaging cricked necks, and tired of the smell of the hospital. We are glad to be home on our own couch! 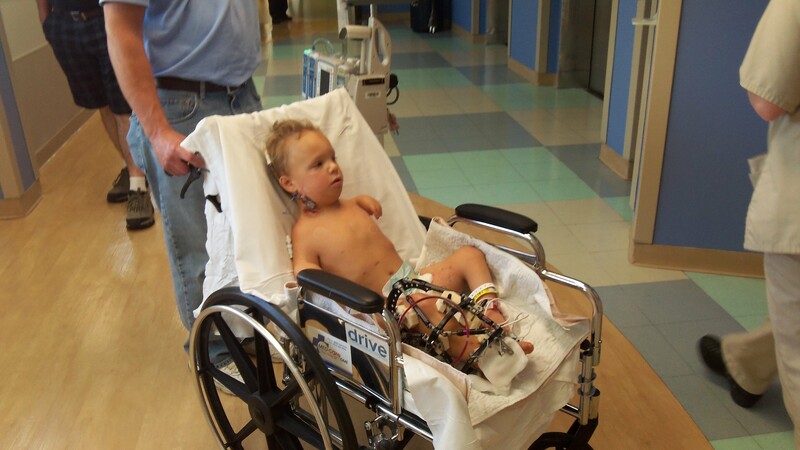 Drew is not too fond of his fixator needless to say. If you so much as make a gesture indicating you’re about to touch it, he completely loses it. But, you should see this fixator up close. It is gnarly! He has pins just smaller than a No. 2 pencil drilled into his skin and bone. I swear, I’m going to have nightmares about how those were placed! It looks absolutely horrid. We had to administer is first pin cleaning today to remove dried blood and other fluids from the sites and it was not pleasant, especially for poor Drew. Ugh! Words can’t begin to describe the helplessness one feels watching their baby squirm in pain begging you to stop. It’s sickening. Almost unbearable. Getting Drew into a wheelchair earlier really brought on some emotions as Drew cried screamed in pain. I couldn’t hold back anymore when he hollered, “I hate this!” I can’t help but translate this into, “I hate you, Mommy, for doing this to me!” I’ve found myself questioning his love for me. He hasn’t volunteered his love for me in several days and when I ask him if he loves me, he only gives me the obligatory, “uh-huh.” He’s so mad at everything and everybody. He was uncooperative, anti-social, and despondent. My logical side tells me that he’s on a lot of pain meds and in a lot of pain so it’s a natural and temporary reaction. But it doesn’t make it any easier. However, I’m glad to report that on our way out of the hospital, while riding in the elevator down to the first floor, Drew said, “I did good, Mama? I’m sorry for being mad at you and Daddy.” Awww….so sweet! And with that, all of my questions disappear! 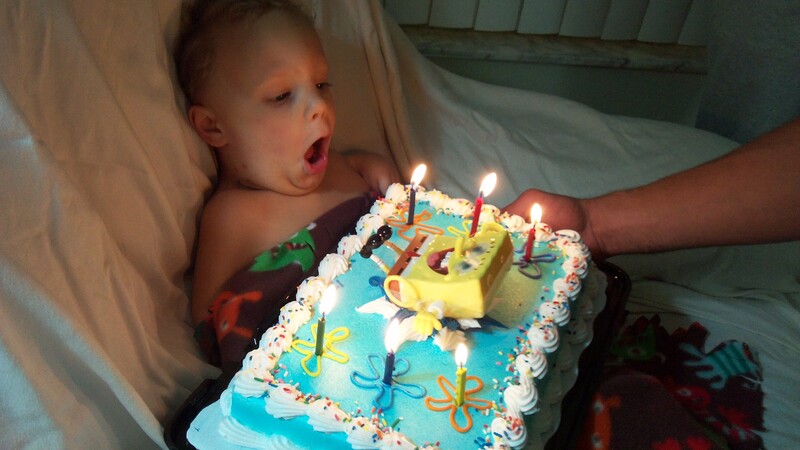 So, we are at home having our Taco Party complete with a Spongebob Squarepants cake to celebrate his homecoming. Physical Therapy starts Monday so we’ll see how that goes. Say a prayer, get some rest, and then take a moment to realize how courageous Drew is.